Are you looking for a translation services provider for your power of attorney document? Then, you are in the right place! Sydney Translations provides several translation services including power of attorney translation. We provide free quotes for every translation project. Get yours today by filling in the translation form located on this page, and we will email you the firm quote in no more than 15 minutes! If you are planning on giving someone a written authorisation in Australia, then it has to be in English. 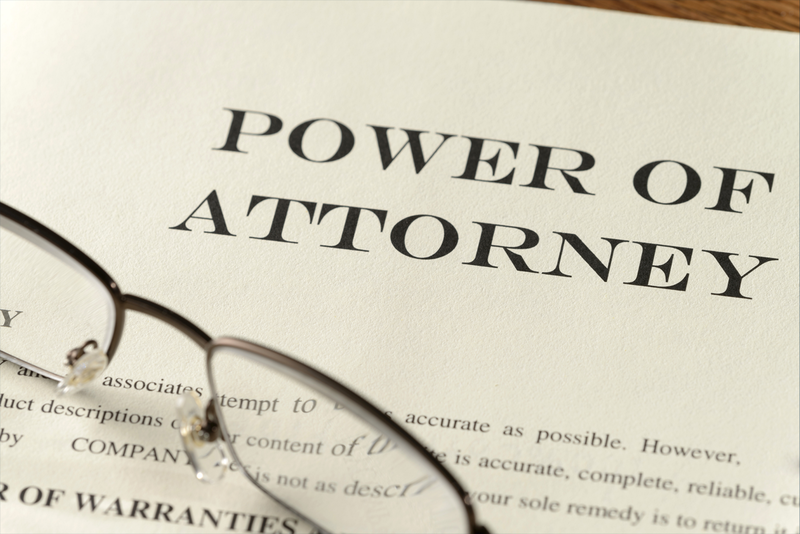 As such, many companies and legal authorities require a power of attorney translation to be NAATI certified. NAATI is the sole Australian body that certifies and maintains standards in the translation industry. Because of this, NAATI translations are expected to be accurate and high-quality. Sydney Translations has hundreds of NAATI translators who can provide you with a NAATI certified power of attorney translation. Try our NAATI translation services today. We guarantee a 100% acceptance rate by all Australian authorities who require NAATI translations. We have a team of translators who are NAATI certified with years of experience. You don’t have to worry about a thing. Only the most qualified translators handle the translations since each one has his or her own specialisations. Also, for every completed translation, we have project managers who double check the translations and ensure that each one is accurate. Our quality checks won’t let you down. If you need your power of attorney translation fast, no worries. We can make the necessary arrangements to expedite your translations and send them to you in under 24 hours. This is through our express power of attorney translation services. Let us know if you want to take advantage of this service. With our power of attorney translation services, you don’t have to pay a lot of money. You’ll receive your high quality translation fast for as low as $69. Request for a quote for your translation order today using the translation form found on this page and receive it in less than 15 minutes absolutely free! That’s right; you don’t have to pay anything for a quote. If you have any questions, you can reach us using the Live Chat feature below. One of our customer service representatives will answer your questions in just a few seconds. Also, you can also leave a message via the translation form and we’ll send you a reply in a few minutes. How fast can I receive my power of attorney translation? With our power of attorney translation services, we provide two types of translations. Each one has a different turnaround time. You can choose between the two depending on your needs. Standard Power of Attorney Translation Services – Our translators can finish a less than 3-pages document in 2 to 3 business days. Express Power of Attorney Translation Services – If you have an urgent translation project, this is the translation service for you! Our express power of attorney translation services allows your translation to be completed in no more than 24 hours. If you ever want to expedite your translation from standard to express translation services, do let us know early on so we can make the needed adjustments. Also, the exact completion date or time depends on your documets complexity, length and language. Yes, we do. Aside from the soft copy, we can also send you a hard copy of your translation via the Australian post. Do expect your translation’s hard copy to reach your address in 3 to 5 days after your document translation is completed. Do you have NAATI certified translators? Will I receive a NAATI certified translation? Yes and yes. We have handpicked NAATI certified translators who has years of experience in the translation industry. You won’t be disappointed with their work. If you require a NAATI certified translation, our NAATI translators can provide you one. Yes, you can. In fact, you don’t have to spend your day going out of the house and coming to our office. From the comfort of your home, you can order a translation in just a few minutes. Read our ‘How To Order’ section below for a detailed instruction. Our efficient ordering process will leave you in awe. Plus, if you ever need help, we are just a chat away with the Live Chat feature of our website. What are the languages that you translate from? Looking for a specific language to translate your English document to or vice versa? Here’s the list of languages that we usually translate from. If you can’t find the language that you’re looking for, let us know via the Live Chat. For translation of power of attorney into English, the majority of 1 page power of attorney are deemed as ‘standard documents’ and are priced at a flat rate per document of $69.00 per page. Complete our enquiry form for an accurate quote. Here are our easy to follow steps in ordering one of our power of attorney translation services. Request for a quote using the translation form located on this page. In the message box, let us know your requirements. Then, upload a photo of your document if you don’t have a scanner. The scan or photo of your document will help us provide you with an exact quote. We will send you the exact quote in less than 15 minutes. You can then proceed to pay for your translation order via credit or bank transfer. Once we receive your payment, we will start with the translation process. When your translation is finished, a translation draft will be sent to your email for you to check and review. If you are satisfied with the draft, let us know and we will send you the final soft copy. And voila! You’re power of attorney translation is finished. If you have any questions, do let us know using the Live chat feature of our website. We will be happy to help you.